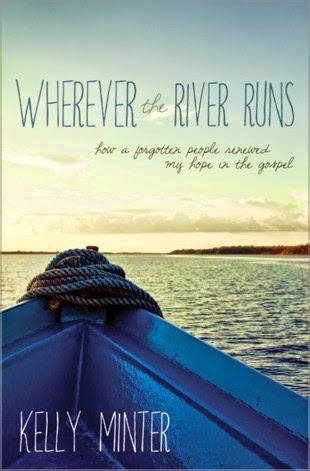 In Wherever the River Runs, Kelly Minter invites us on a jungle adventure down a river teeming with piranhas, caymans, a beautiful people, and, especially, God’s presence. Her honest and engaging narrative pulls back the curtain on one of the most captivating places on earth as well as on parts of the gospel we may be able to recite but have never fully believed. And yes, it inspired me! When I finished, I wanted to go to the Amazon! Her descriptivism and her experiences were thrilling. Her words, you can tell and feel, are spoken from her heart. Not too often do I really get into personal accounts in books like I did this one! It was a wonderful read and I am so happy to add this to my book collection! And I am happy to say one lucky reader will get to add this book to their collection as well! One winner will win a copy of Wherever the River Runs! Debras Random Rambles is not responsible for fulfillment as sponsor will ship directly to winner. Easy Entry below! Only one entrant per mailing address, per giveaway. If you have won the same prize on another blog, you are eligible to win it again. Winner is subject to eligibility verification. Favorite book - - - Bridge to Terabithia. I know its a children book, but I love it. My favorite book of the moment is Don't Breath a Word by Jennifer McMahon. Bring on the Blessings - Beverly Jenkins!